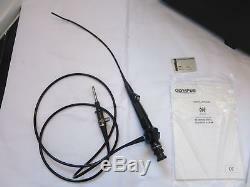 OLYMPUS CYF-4 FLEXIBLE FIBER OPTIC CYSTOSCOPE ENDOSCOPE. 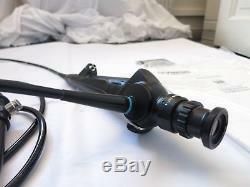 The Olympus CYF-4 Fiber Optic Flexible Cystoscope offers users high-grade fibre-optics that are always a step ahead. 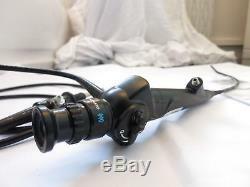 The Olympus CYF-4 flexible cysto-nephro fiberscope delivers high-quality fiber optics in a patient-friendly design. The CYF-4 is both portable and reliable and features the EvolutionTip tapered tip design, a variable stiffness shaft, optimal deflection, and a large field of view. The CYF-4 is specially designed to be used with a conventional tabletop light source or Olympus' portable miniature light source. USED CONDITION (MULTIPLE BROKEN FIBERS). Field of View: 120 degrees. Angulation Range: Up: 210, Down: 120. 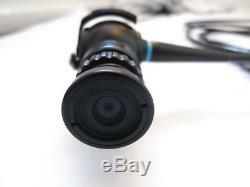 The item "OLYMPUS CYF-4 FLEXIBLE FIBER OPTIC CYSTOSCOPE SURGICAL ENDOSCOPE SCOPE TUBE UK" is in sale since Sunday, February 18, 2018. 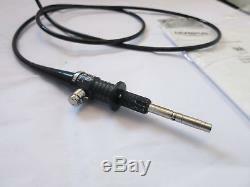 This item is in the category "Business, Office & Industrial\Healthcare, Lab & Dental\Handpieces & Instruments\Endoscopes". The seller is "auctiontraderrsuk" and is located in Birmingham. This item can be shipped worldwide.